When I need to install software on a linux server, I locate all the software I need and start downloading it. Downloading it first to your laptop and moving it then to the server is one option, which works ok if you are on the same network as the server. However with having a lot in the cloud it would be far easier to download the software directly on the server (as the server is already connected to the internet). 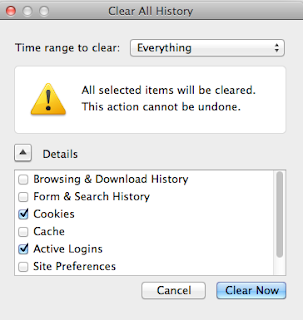 The way I download for example Oracle software straight into the server is by using wget. As you can only download Oracle software after you are logged in, I had to do an additional step to get wget working. 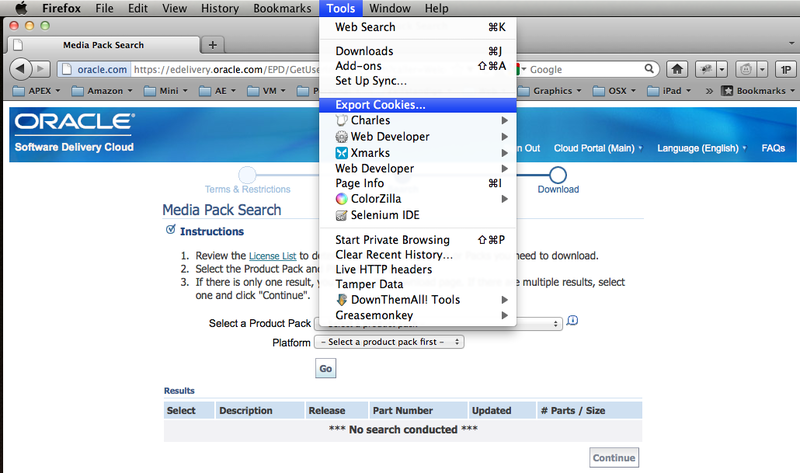 - Open Firefox and install the Expert Cookies add-on. 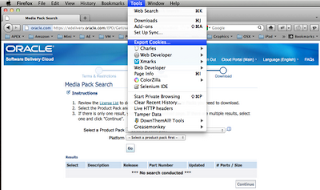 That tool allows you to download the cookies of your pc into a text file. - In your browser on your pc login to the Oracle website and/or depending the software you need on edelivery.oracle.com. Logging in will set a cookie. Some of you might have seen that APEXBlogs wasn't updated with twitter messages anymore for some time. Since last week blog posts were not taken anymore either. I only found a little time today to look a bit closer into these issues and am happy to share with you what is going on. Although the Oracle database is running in UTF-8 and Google is sending the posts as UTF-8, it looks like it's not doing that with the blog names. The name "JoÃ£o Oliveira" has some bad characters which Oracle didn't understand. After changing this name in Google Reader the procedure didn't produce the error anymore and Oracle could parse the xml again. Concerning twitter... that is a different story. It looks like the APEXBlogs is banned to use the Twitter API. As I didn't take out the twitter api calls from the hourly sync, we stayed banned and it got worse I guess. Although I thought I followed the guidelines of using the API, I'll change the syncing of twitter message to do it less frequently so we aren't blacklisted again in the future. The syncing worked for many months, so Twitter must have changed their policies. Today I asked Twitter to remove APEXBlogs.info from the blacklist so hopefully the twitter syncing will work again in a few days. It's an annual tradition that the APEX developers get together at Oracle Open World to have some drinks and meet each other and tell great stories. This year it's the 5th year we do this! (update: 6th year!) The first APEX Meetup was in 2006, this is the picture that was taken at that time. Where in 2006 APEX had still everything to proof, the stories were about "will APEX stay?" 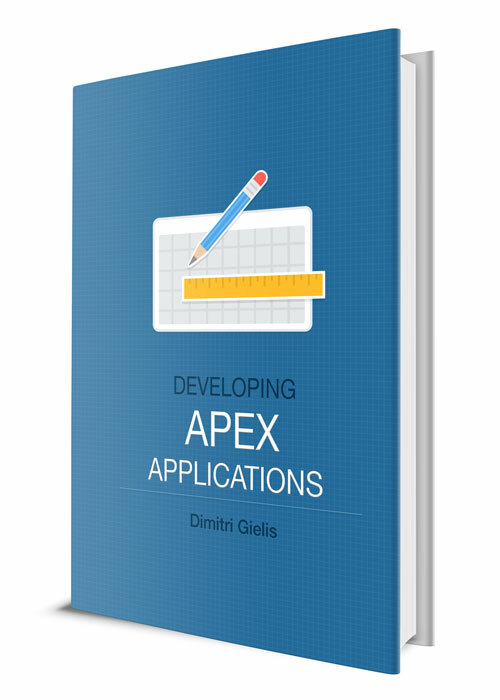 and "how can I convince my manager/customer that APEX is really good?"... now, APEX has proven it's value many times and almost every customer using Oracle knows about it or uses APEX. Things change... and the life of APEX isn't over yet... there is more to come. So what about the meet up this year?